MOSCOW, April 12. /TASS/. 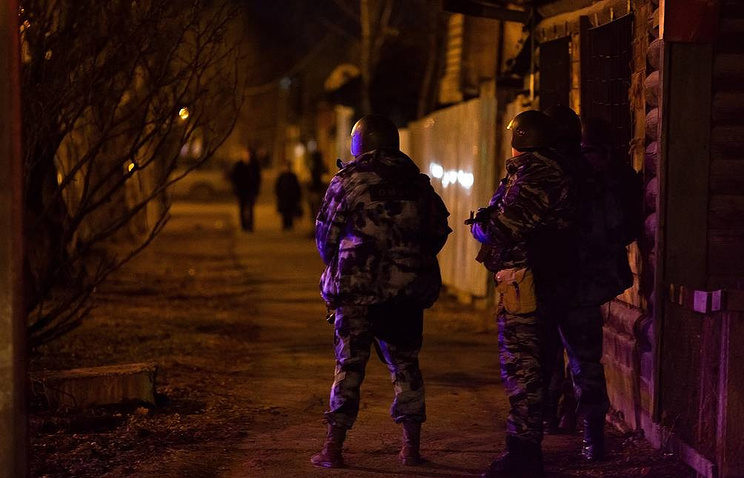 Two suspected supporters of the Islamic State terrorist group (outlawed in Russia), who were presumably plotting a terrorist attack in the western Siberian city of Tyumen, were killed in a special operation on Friday, the National Anti-Terrorism Committee said. "When told to lay down their weapons and surrender, the terrorists opened fire at police officers. [They] were killed in the shootout that followed," a committee spokesperson said. "There were no casualties among civilians or officers." According to information obtained by Russian security services, those individuals supported the Islamic State and were plotting terrorist attacks. A spokesperson for the local arm of Russia’s state security service FSB earlier said the operation had been launched in Tyumen when law-enforcement agencies received information about "armed supporters of the Islamic State terrorist group (outlawed in Russia)," who "planned to carry out terrorist attacks in the city’s crowded areas." The operation began at 21:56 local time (19:56 Moscow time) in the Kalininsky district on the city’s western outskirts. Law-enforcement agencies have cordoned off a territory that included several houses. Later, an emergencies source told TASS that one of the buildings within the security zone had caught fire.